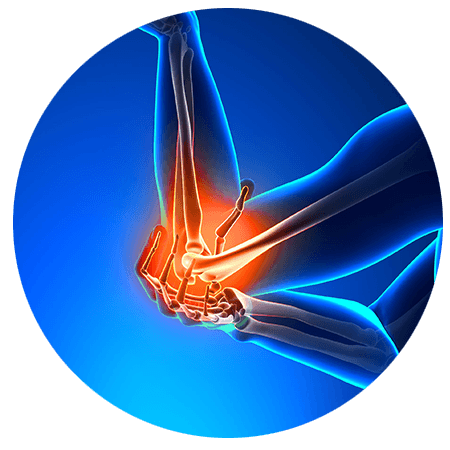 Golfer’s elbow can be treated simply by resting until the pain subsides. Application of ice packs in the affected area is also an option to reduce inflammation and pain along with elevation and compression. You can also use a forearm strap or an elastic bandage to reduce the load on the elbow and continue with strengthening and stretching exercise when the pain is less. There are also some over-the-counter pain relievers that can be helpful in relieving the pain, if all these fail, the doctor will usually recommend cortisone injections. In situations where the signs and symptoms do not respond to these conservative treatments for more than six months or in cases of severe golfer’s elbow, surgery will be recommended. However, there are new techniques that have been developed as alternatives to surgery. These techniques include Adipose and Bone Marrow Regenerative Cell Therapy. They can heal more efficiently and more quickly. At Front Range Regenerative Medicine, our partner healthcare providers offer this alternative procedure to ensure that your treatment is painless. We utilize Adipose and Bone Marrow Regenerative Cell Therapy to both heal and build new tissue for damaged or inflamed ligaments and tissues. This innovative treatment method has already been proven effective in clinical studies. You can contact us to learn more about how these procedures can help repair your golfer’s elbow. We look forward to helping you live a pain-free life!